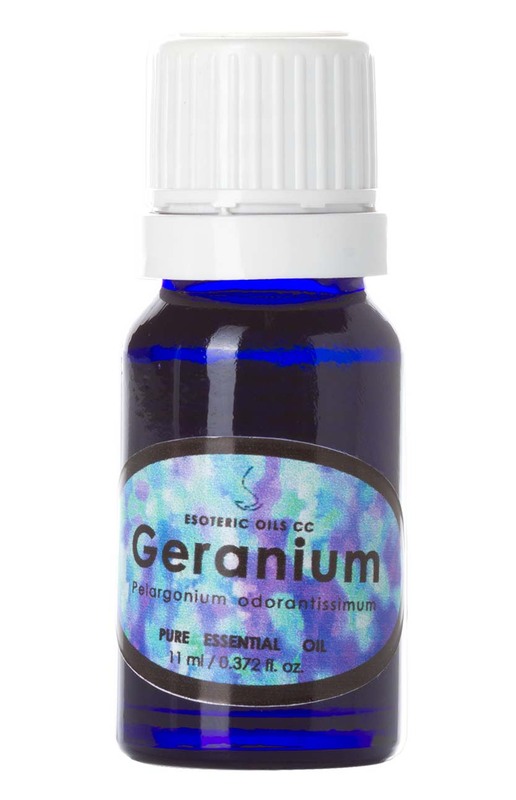 Our geranium essential oil is extracted from the plant Pelargonium odorantissimum, of the Geraniaceae family and is extracted from a different plant than its cousin rose geranium essential oil - as this more expensive oil is extracted from Pelargonium graveolens. It is a hairy perennial shrub, often used in hedgerows, and stands up to about one meter high (3 feet) with pointed leaves, serrated at the edges and it has pinkish-white flowers. In early times geraniums were planted around the house to keep evil sprits at bay. Geranium oil does not cause any side effects, since it is non-toxic, non-irritant and generally non-sensitizing, yet can cause sensitivity in some people and due to the fact that it balances the hormonal system, it might not be a good idea to use it during pregnancy. Geranium oil can be used to help in the treatment of acne, bruises, burns, cuts, dermatitis, eczema, hemorrhoids, lice, as a mosquito repellant, ringworm, ulcers, breast engorgement, edema, poor circulation, sore throat, tonsillitis, PMS, menopausal problems, stress and neuralgia. In vapor therapy geranium oil can be used to help relieve stress, mild depression, PMS, anxiety and tension, menopausal problems and for general energizing. Geranium oil can be used in blended massage oil, or diluted in a bath to assist with PMS, depression, stress, anxiety and tension, fluid retention, edema, eczema, shingles, cellulite, bruises, insect repellent, ringworm, hemorrhoids and menstrual irregularities. As a constituent in a blended base cream, geranium oil can be used for eczema, repelling insects, shingles, burns and scalds, cellulite, ringworm, bruises and engorgement of the breasts.